Normal actions like running your hands through your hair or changing clothes can become a painful experience if you have a hangnail. With autumn in full swing and winter right around the corner, it has become essential to address this problem that occurs mostly in dry weather. Hangnails are those small threads or slivers of skin torn from the cuticles or the lateral folds on the side of your nails. 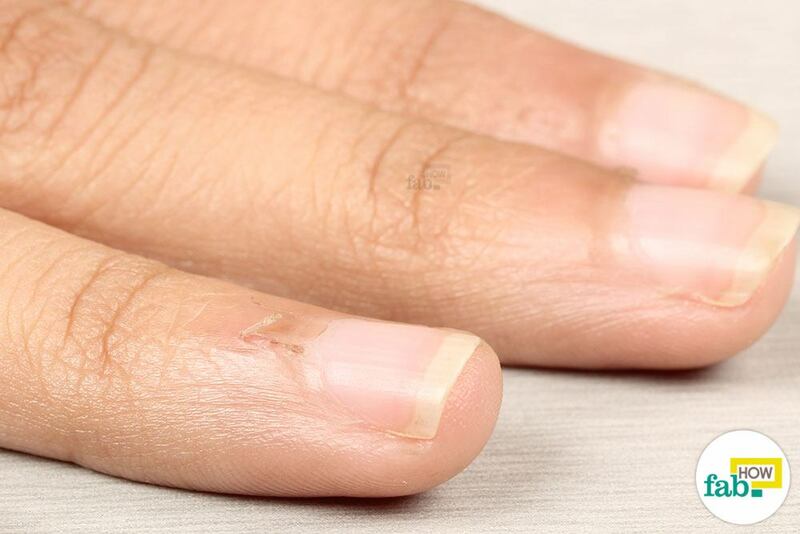 After getting torn from the skin, a hangnail often becomes dead and stiff at the end, causing it to catch on hair strands and various fabrics. Being still connected to the live and broken skin, the hangnail hurts immensely whenever it gets snagged. 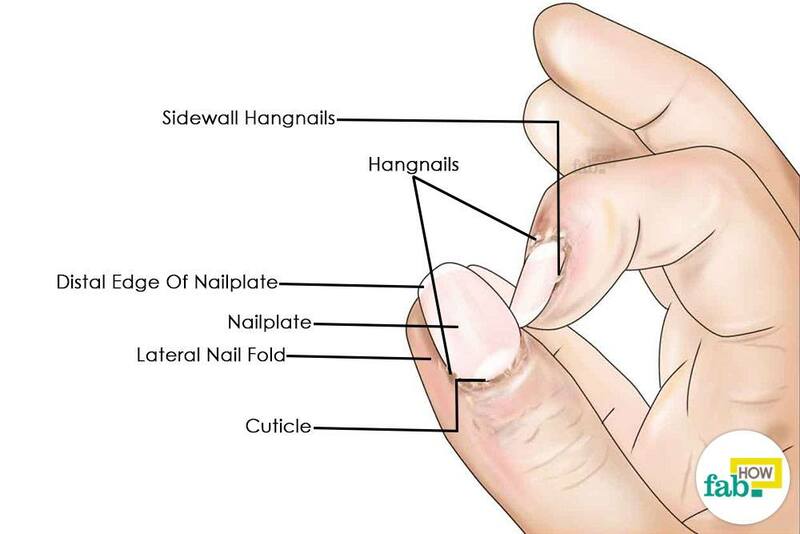 Hangnails can also be a part of your actual nail plate that has been damaged due to picking and biting. Just like any broken skin, hangnails can also become infected, especially if ignored. An infection increases pain and inflammation in the hangnail and also may give rise to the formation of pus. Anyone can get a hangnail, even after following a meticulous grooming regime. 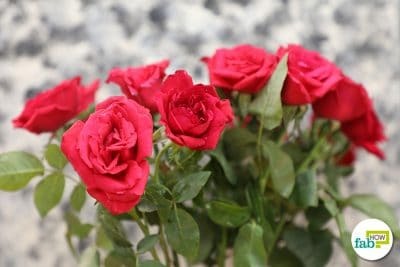 But typically, they occur due to dryness caused mainly by weather. Exposure to harsh chemicals can also dry out the cuticles and cause hangnails. Bad manicures and nail biting can result in torn skin near the cuticles, which can also turn into hangnails. The best defense against painful hangnails is to start the treatment whenever you feel one forming. The key is to keep the entire nail area moisturized. Natural remedies are the best way to deal with hangnails, as they seldom have any side effects and help sure your hangnails without any pain. Here are six methods to completely cure painful hangnails. If you’re dealing with a painful or infected hangnail, an Epsom salt treatment is a must to clean the wound and start the healing process. Epsom salt can help disinfect the area and flush out the toxins from the skin. This can significantly help relieve the pain and inflammation due to the hangnail. An Epsom salt soak can also help the skin better absorb whatever ointment you decide to apply next. 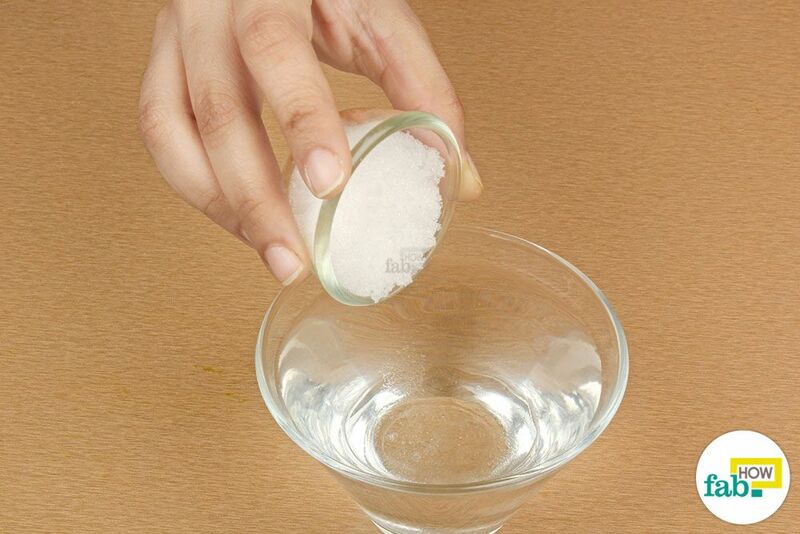 Add 1 tablespoon of Epsom salt to a cup of warm water and mix thoroughly. Place your hands into the bowl, completely immersing the hangnails in the salt water. 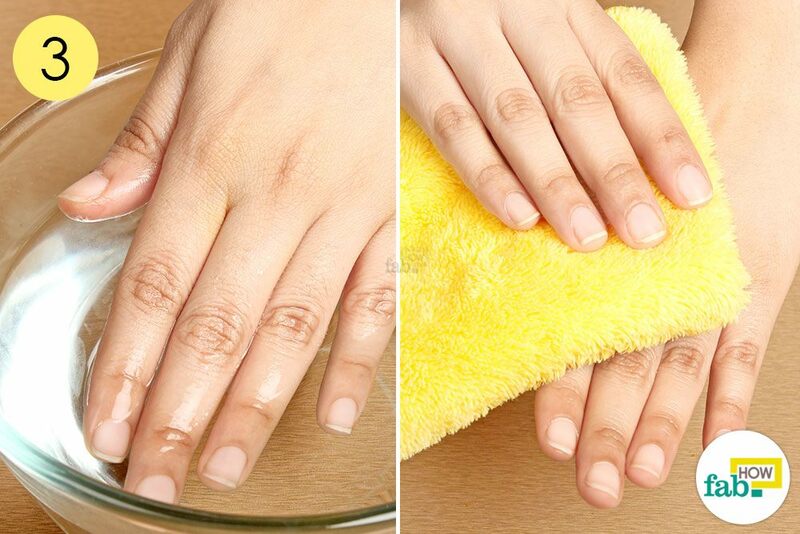 Let your nail areas soak for 15 to 20 minutes. After patting your hands dry with a soft towel, you may use any ointment of your choice on the hangnails to further the healing process. Repeat the remedy twice a day, especially before bedtime, until the nail area is completely healed. 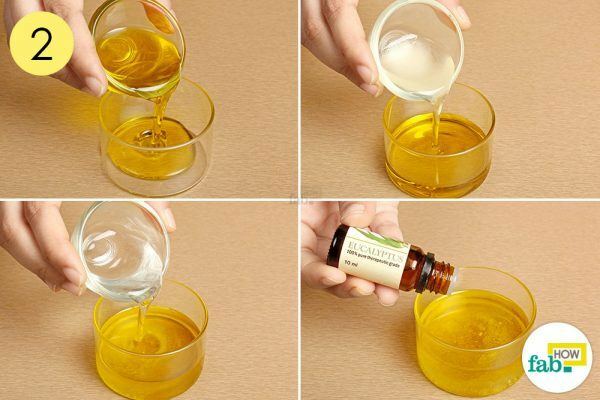 Vitamin E oil is one of the most popular remedies for skin care. It softens the nail bed and restores its moisture. It heals the tears in the skin that cause hangnails and prevents future hangnails. The antioxidants present in vitamin E oil also protect the entire nail area from damage sustained by pollution and harsh chemicals. Plus, vitamin E oil increases blood circulation in the area, speeding up the healing process. 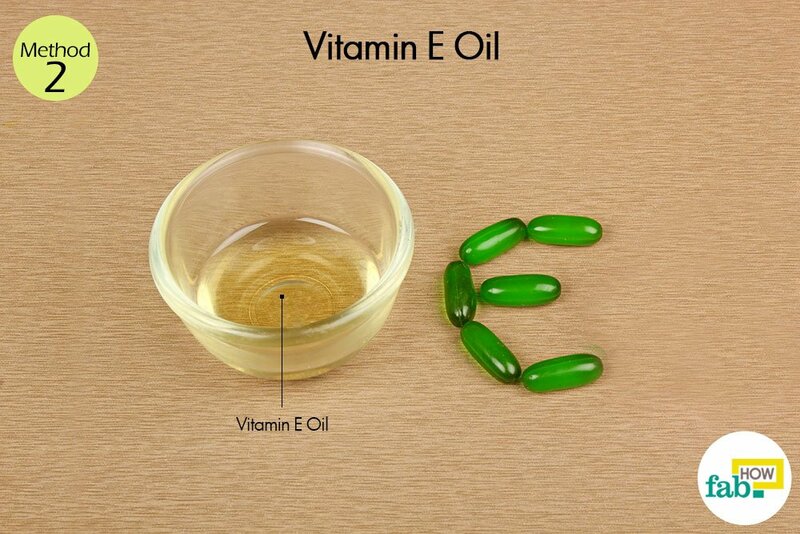 You can get vitamin E oil from any health or drug store. You may also find it in capsule form. In that case, you’ll need to take the capsule apart to extract the oil. Apply a thin coating of vitamin E oil over your hangnails with a cotton ball. 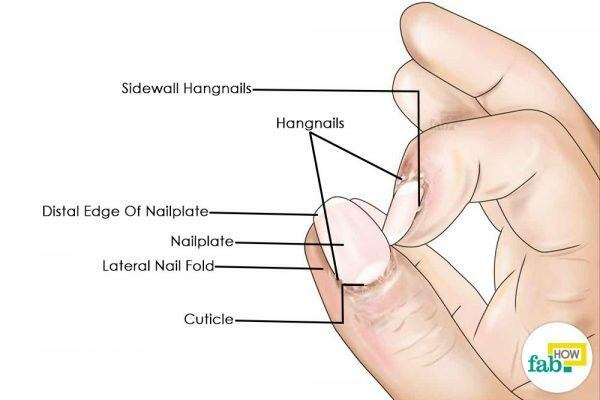 Make sure that you apply the oil not just over the hangnails, but over the entire nail area including the nails, cuticles and lateral nail folds. Repeat the activity until your nail area makes a full recovery and appears sufficiently hydrated. There are no miracle cures when it comes to skin care, but aloe vera comes quite close. Its healing and regenerative prowess can work wonders in even the most hopeless situations. 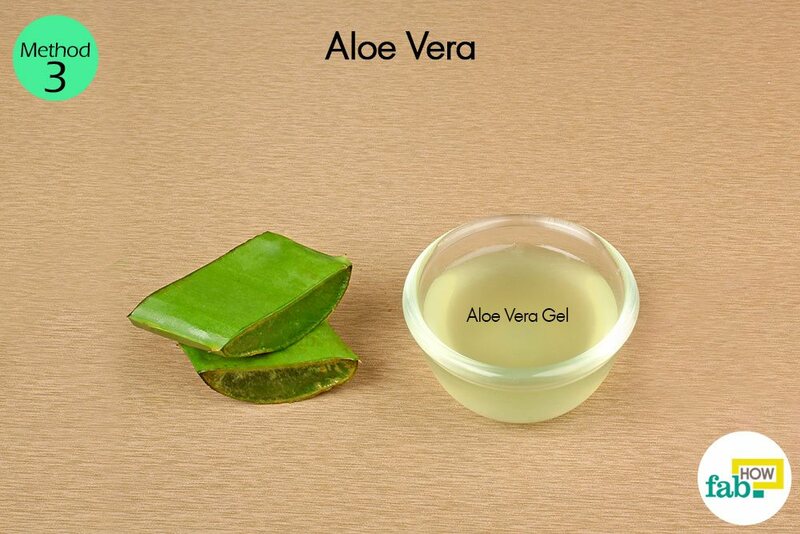 Aloe vera gel can heal and repair the damaged skin near the hangnails and speed up the growth of new skin. While fresh aloe vera gel straight from the plant is recommended, you can also use packaged aloe vera gel. Just look for a variety that doesn’t contain too many additives. Most added fragrances contain alcohol that can make your problem worse. 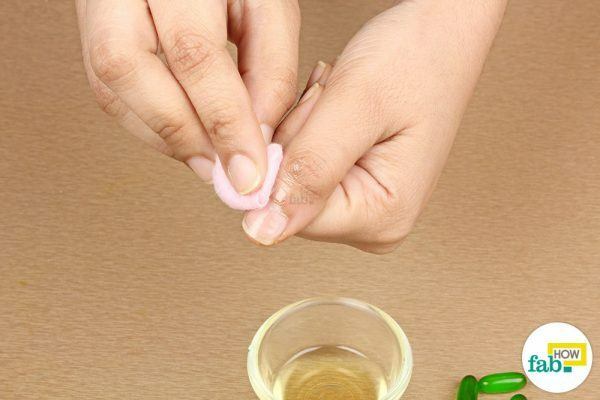 Use a cotton ball to apply a liberal coating of fresh aloe vera gel over your hangnails. Leave it on for a minimum of 30 minutes to let it completely absorb into the skin before washing it off. For best results, apply before going to bed and leave it on overnight. Repeat this remedy 2 or 3 times a day for a speedy recovery. Another good thing about fresh aloe vera gel is that you can apply it as many times in a day as you wish. If you suffer from frequent hangnails, a cuticle softener can be of immense help. Instead of spending money on expensive cuticle creams, you can make this DIY cuticle softener to improve the health of your nails and soften the cuticles. Olive oil, which is known for its moisturizing and antioxidant properties, makes the base of this cuticle softener. Other ingredients include coconut oil, glycerin and eucalyptus essential oil. Coconut oil is very light and doesn’t make the oil blend heavier while lending its healing and antibacterial properties. Glycerin acts as a natural humectant. Eucalyptus essential oil brings down the pain and inflammation. It also fights and prevents any infection in the hangnails. 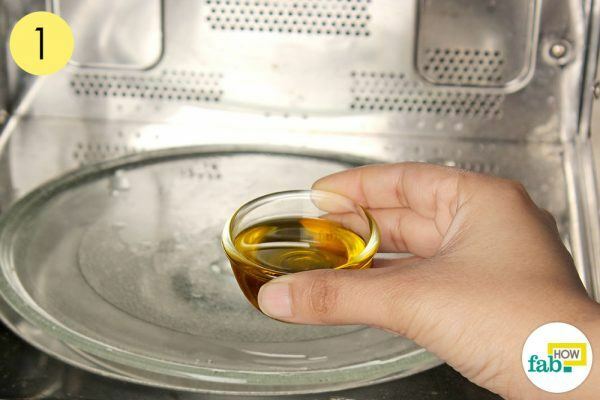 Put 2 tablespoons of olive oil in a microwave-safe bowl and pop it into the microwave for 30 seconds. Warm oil will absorb better into the skin. Now, pour the warmed olive oil into a small bowl. Next, add in 1 tablespoon of glycerin. Put in 5 drops of eucalyptus essential oil as well. 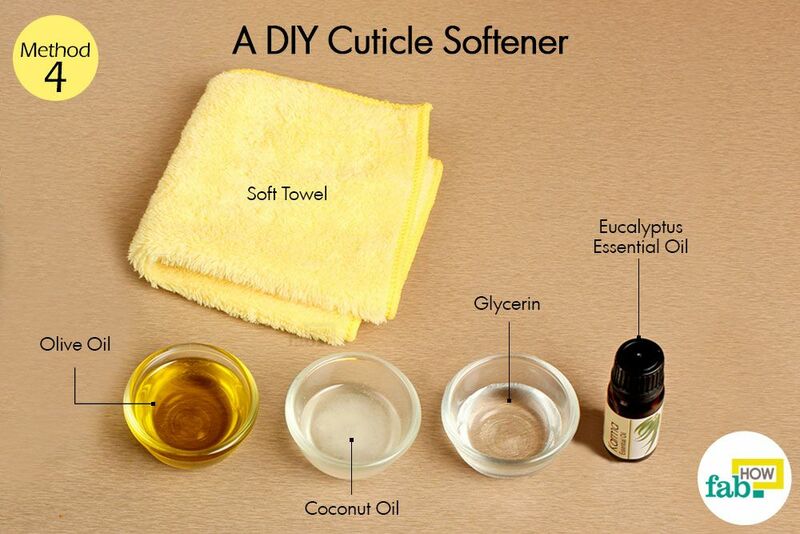 Your DIY cuticle softener is ready. This recipe can be made ahead of time to be used at your convenience. Soak your hands in a bowl of warm water for 10 to 15 minutes. Lightly pat your hands dry with a soft towel. Apply the cuticle softener to seal in the moisture and speed up the healing of your hangnails. Repeat this activity twice a day until you find relief from your hangnails. Include this activity in your weekly hand care regime to say goodbye to hangnails forever. Whenever you feel a hangnail snagging on your hair or clothes, all you need to do is look in your fridge for yogurt. The probiotics, or the healthy bacteria, present in the yogurt help relieve inflammation in the hangnails. The lactic acid present in yogurt also exfoliates and cleanses, resulting in the renewal of the skin. Yogurt also moisturizes the area and promotes healing of the skin. Simply apply a dab of yogurt over the hangnails. Massage the yogurt thoroughly into the skin around the hangnails. Repeat this remedy twice a day until the hangnails heal completely. Petroleum jelly can really work wonders when it comes to healing hangnails. It’s one of those urban remedies that you can rely on in a pinch. Petroleum jelly is one of the oldest, cost-efficient products that’s a moisturizer and ointment rolled into one. It seals in the moisture and keeps the skin completely hydrated, thus promoting the healing process. Apply the petroleum jelly over your hangnails, as well as coating the entire nail area. Lightly massage the nail area to work the jelly into the skin. Repeat the activity several times a day to completely heal the hangnails. You can also use a piece of gauze to cover the finger coated with petroleum jelly and leave it on overnight for a speedy recovery. Regular use of aloe vera, vitamin E oil, yogurt, petroleum jelly or honey can keep your cuticles moisturized and prevent hangnails. If using a stove to heat olive oil, use a double boiler. Never bite, tug or pull on a hangnail. It can cause infection. Instead, trim the hangnail with a pair of nail clippers or cuticle scissors as close to the skin as you can. When you have hangnails, wear gloves while cleaning to prevent any exposure to chemicals. Eat a diet rich in vitamin B, calcium and iron to improve the health of your nails and cuticles.